There are several options available to you when attempting this hike. The in and out or a Templeton Loop is the most obvious, but there are lassoes and loops of various sizes that can easily be created. I believe the Hiline is a newer trail and does not show up on the maps at all the Trailheads. Baldwin and Cathedral Rock TH maps, possible starting points for the Hiline Trail, do not indicate the Hiline Trail. 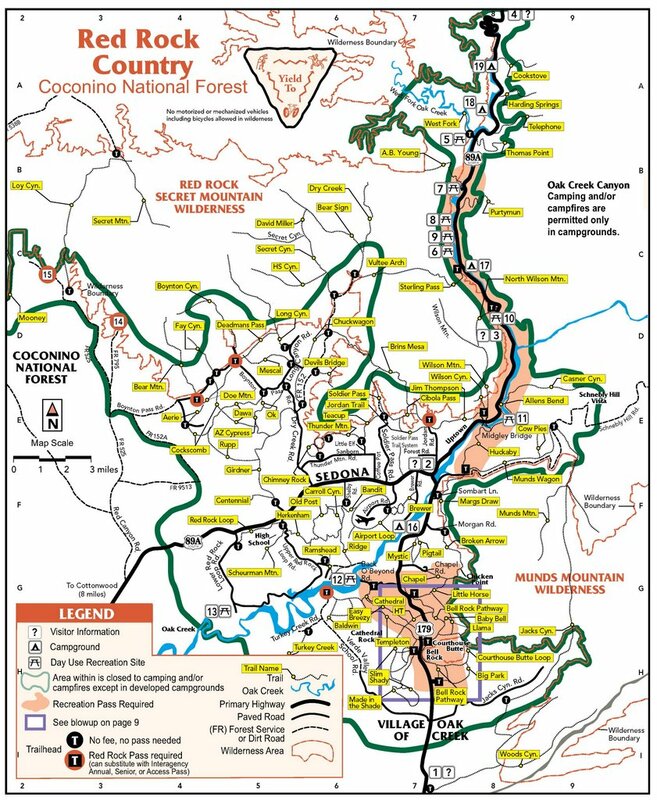 However, the Yavapai Point TH, which provides the quickest access to this trail, does have a map that shows the Hiline and how it interacts with the surrounding trails. The views from this trail are Fantastic! Providing great views of Bell Rock, Courthouse Butte and Cathedral Rock as well as the surrounding Sedona vista. Note, this trail is very doable when going east to west, but becomes a little more challenging when going the other direction due to the elevation gain that occurs towards the western end of the trail. Take that into consideration if you plan on doing this as an in and out. Also, be advised this is "advertised" as being a biking trail for advanced riders. Certain sections can be steep and "blind" so be on the lookout! The Hiline Trail is about .3 miles in from the Yavapai Point TH. There are a couple of "mini" trails in the area that will get you to the start of the Hiline. The Hiline initially starts off with several gradual switchbacks that gains about 125 feet over the first .3 miles. After that the trail stays fairly level for the next 1.25 miles gaining only another 75 ft. There are some ups and downs so the AEG will be slightly more. As you follow the trail along the contours of the mountain you are given great views of the Sedona landscape. Initially, you get to admire Bell Rock and the Courthouse, but as you continue you get a good but distant look at Chapel of the Holy Cross and mountains north of Sedona. At about 1 mile from the start of the Hiline Trail you turn a corner and get your first view of Cathedral Rock. At a little over 1.5 miles into the Hiline hike you'll reach a bluff and the high point in the trail. My garmin had elevation at 4650. The views are picturesque to say the least. From here on, it is a steady descent. At about 1.8 miles the trail surface changes fantastically! (In my opinion). For the next mile you are hiking on a monolith - solid stone. Very similar to what you would experience if you were to hike on the neighboring Cathedral Rock Trail. Instead of using the "caged" cairns, trail builders resorted to spray painted white arrows. Not very sightly, but beneficial in trying to follow the trail. The views to the north are fantastic as you work your way around Cathedral Rock and the views to the south are just as good as look out over a 100 ft (or more) drop. At just about 2.8 miles into the hike you come to a relatively steep descent. In .25 miles you drop about 250 ft. Not too bad if your hiking, but if your riding a bike!! Beware! And the amazing thing is this trail was designed, in part, with bikers in mind. After the descent, you enter a sandy/rocky tree enclosed wash for a very short time (.05 miles). This was for a very short time, but I felt it was worth noting because it is quite distinct. Once again, in my mind, this part of the trail is not very bike friendly. From here, though, it is only .3 miles from the end of the trail and the juncture with the Baldwin Trail. At this point you have the option of returning back up the trail. This would be the shortest route and the views would be worth seeing again. Or you could do a loop of your choosing. The elevation may not be as much, but it would be a longer. But that just means you would have more time to take in the views. There is no water at the Yavapai Point TH so plan accordingly.